KromaFaze Singles are single impression packages of dust-free, colorimetric alginate powder. The alginate is packaged in 18-g, sealed foil envelopes (6.4 x 15 cm), with an incorporated water measure. To use KromaFaze Singles, the clinician taps the powder to the bottom of the envelope and then cuts the package at the dotted line. The powder is placed into a mixing bowl and the top portion of the envelope is used to measure the water. Standard protocols are used for mixing. Mixing time is 30 seconds, working time is 1:45 and setting time is 2:30 from the start of mixing. Twenty-nine consultants used KromaFaze Singles 420 times during the evaluation period. 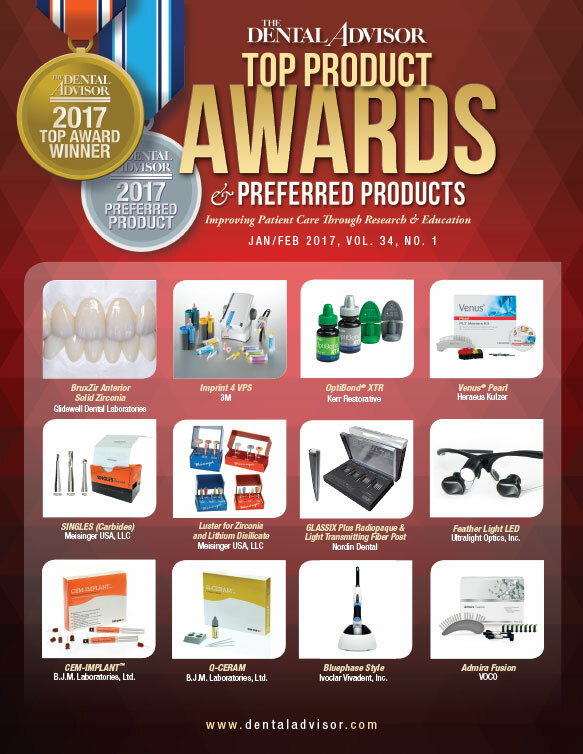 This product received an 87% clinical rating. Consultants reported KromaFaze Singles were easily dispensed from the foil packages. The color change is a useful feature and the mix lacks bubbles, resulting in a good impression. The detail of the impressions and the resulting models was rated highly. Using scissors to open the foil pouch and measuring the quantity of water with one end of the envelope are easily accomplished and give good results. 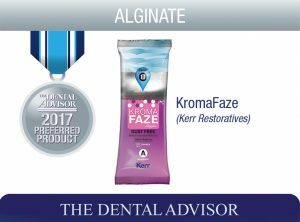 Overall, KromaFaze Singles was judged less messy than conventional alginate products. Participants reported that the setting time was appropriate and that the procedure consumed less time than their usual methods. Eighty-nine percent of consultants found the KromaFaze Singles equal to or better than their current alginate.